*This email address is a generalized email and thus is not a secure site to send personal information such as medical files or questions. If you need assistance with any medical issues, please contact our office by phone and make an appointment. Here at Bothell Women’s Health, your calls are very important to us. If we are unable to take your call, please leave your name and contact information and someone will get back to you as soon as possible. If after hours, phone prompts will direct you to the appropriate option that should take care of your needs. Please dial 911 or go to your nearest emergency care facility. 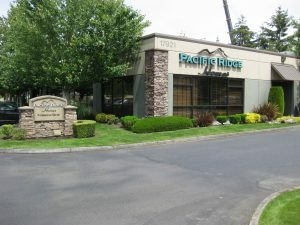 We are located in the Pacific Ridge Homes building which sits off of 180th St SE. Our building is tan color and has a big Pacific Ridge Homes in green lettering on the outside. It sits behind the Silver Dollar Casino and is directly across the street from Bartell Drug. From Highway 9: Take Hwy 9 North/South until you reach the 180th Street light. Turn west down 180th. Continue down this road until you see a Bartell Drugs on the left. Driveway to our office is on the right. If you hit Bothell Everett Highway, you have gone too far. From 405: From 405 North/South Bound, take exit 26 for Bothell Everett Hwy (526). Go Northeast up Bothell Everett. 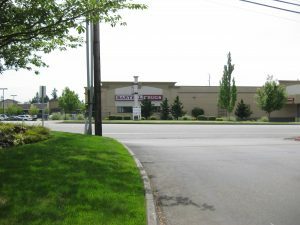 Turn right on 180th Street SE and then left right after the median. If you hit 21st you have gone too far. From I-5: From I-5 East/West Bound, take exit 183. Turn east on 164th Street SE. Continue down this road and turn right onto Bothell Everett Hwy. Turn Left at the next light onto 180th Street SE and then turn left right after the median. If you hit 21st you have gone too far.